Cremation Urns Sizes Needed, What size urn do I need? Just like people and pets, urns come in many different shapes and sizes. Please Note: When we refer to "healthy" weight, we mean a weight prior to any illness that may have resulted in weight loss, if applicable. In order to hold all your loved one's ashes you'll need to know what the approximate healthy body weight of the person or pet you are shopping for. One pound of healthy body weight will yield just less than 1 cubic inch of ash. Assume for shopping purposes that: 1 pound healthy body weight = 1 cubic inch ash. Cremation urn item descriptions list the size of an urn in Cubic Inches. If you know the healthy weight of the deceased - then you know the size of the urn you need. Approximate Weight = Approximate Cubic Inch Size. Easy example: A cremated 100 pound person (healthy weight) will yield almost 100 cubic inches of ashes. So, if 1 pound = 1 cubic inch then this person would need an urn that is approximately 90-100 cubic inches or larger. Enter the weight of your loved one and then "Calculate." There are a lot of other factors that play into how much cremains you will actually receive from the crematorium. Because of that we can't guarantee 100% of the time that an urn will be large enough but if you follow our rules above, or call us to discuss - 99.95% of the time we'll be right on. The 1 to 1 ratio of weight to cubic Inches will insure you purchase an urn that is the right size 99.95% of the time. Urn capacity can only be too small. You can use any size urn that holds more than you need. Cremated remains (ashes) can vary in amount due to different cremation processes, temperature variations and the bone structure of the decedent. Buy an urn at least slightly larger than calculated to avoid having the urn be too small for the ashes. The Cremation Association of North America (CANA) determined that the standard capacity of a single adult urn should be 200 cubic inches. 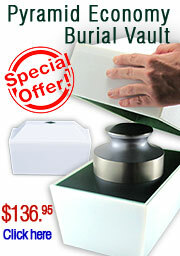 Keepsake urns, Keepsake Jewelry, Small and Medium Size Urns are exceptions. Our navigational menu along the top of the page breaks down the different types of urns into relevant size and material categories. For example, the Double / Companion Urns section (under the Cremation Urns tab) is for cremation urns that are large enough to hold the ashes of two people. On the other side of the cremation urn size spectrum we have a Keepsake Urns section, which are urns with a very small capacity designed to hold small amounts of ashes. Other size specific categories are Small & Medium Size Urns, Infant & Child Urns, and Pet Urns. Keepsake Cremation Jewelry is designed to hold a trace amount of ashes, similar to the size of the head of a sewing pin. A columbarium is a place for the respectful storage of cremation urns and is usually found at a cemetery or other burial grounds. It contains many individual compartments (niches) for cremation urns. Typically, the size is just large enough for one or two urns. Since there is no standard size for a niche, it is important that you find out the exact inside dimensions of your niche to determine the correct size urn to purchase. "Columbarium" is derived from the word "columbary" which is a structure meant to house doves. Doves have long been a symbol of spirituality and peace.